We Deal In Water Bottle Packing Plant. 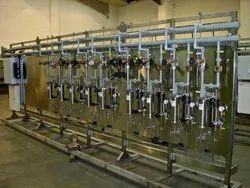 (1)This machine is mainly used for washing,filling and capping PET bottle which can fill non-carbonated drinks such as mineral water,pure water. (2)It is produced on the basic of learning advanced techbology.It is safe,easy operation and higy reliability. 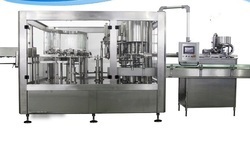 (3)Filling part adopts high filling speed and mass flow rate valve which control liquid level accurately. We are offering a wide range of Steam Water Analysis System to our clients. We specialize in Effluent Treatment Plants and have successfully supplied projects of various sizes in India and globally. Grey Water Treatment Plant Grey Water is waste water, which is produced from domestic activities like, clothes laundry, bathing and washing dishes. By using the Grey Water Treatment Plant one can recycle this waste water for landscape irrigation and flushing purposes. As a result of using these Grey Water Treatment Plants, you can reduce usage of freshwater.